If you're looking for a general contractor in the the Triad area, Alert Construction is a leading choice among local residents. From custom home building and extensive remodeling to small home repair jobs, we are committed to providing our customers with the highest level of quality, craftsmanship and customer service. Leave it to the experts. From a simple window installation to complete home construction, Alert Construction brings top-notch craftsmanship and experienced work ethic to your home! Quality work & results. If you're looking to sell your house or simply want to improve the look of your home, our experienced painters will make sure you get the results you're looking for. 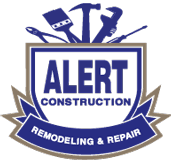 Want To Learn More About ALERT CONSTRUCTION?